EDIT: The builder tells me this release includes the same level that was provided some time ago, so I'll use dmdibl's walkthrough to get my question answered. By the way, there are no cumbersome installation procedures involved here. Simply open the DOSBOX folder, double click on START_DOSBOX_TR1-GLIDE.bat and the game loads automatically. Thanks for telling me how to open the game, I had some issues. Now that I will run it soon, I will try to find the key too. I've advanced far in the second level and I've reached the room with the tall column in its center and the Ank at the top. I went to the bottom and did a timed run; after this, I pulled a lever in the room with the single moveable block and two enemies (screenshot of a high door in a corner in the main room, near a slope). Also I remember using a switch to turn the doors in one of the rooms in ground floor behind one of the moveable blocks but I can't remember where that switch is to use it again and change the position so I am able to get access to the corridor behind the doors (Lara can't duck in TR1). I have a blue artifact (no name) but no idea where to use it. Also I've opened a door to go back to the Sphinx courtyard but again, no idea the four switches at the bottom are for. I'll try to explore all that you say. 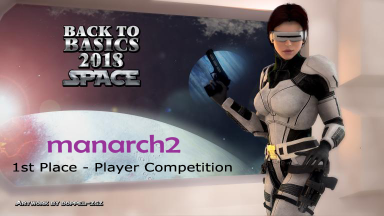 Manarch2 has finished and says Part 2 is complex. I vote for him to do the walkthrough (since Part 1 is already available), unless José wants to volunteer. Manarch2 is right; this game is complex. With vimmers' help I've finished the fist new level (second level of the whole adventure), but now I jumped to another caves-mines-type level (I think this is the last one 'cause in the "data" folder there are three PHD files named "levelX.phd"). So I could start to write the walkthrough right now for "City of Vilcabamba" level, but in that case I don't know when I could finish the third level. Also, even when I finished, I shall need some help to explain some strange situations that wasn't very clear for me. I think I found, at least, three secrets. (I started to play a week ago and I can't remember). The third level seems to be a 1-to-1 copy from Natla's Mines from TR 1, and because of that and also of the title (Parts 1 &2) I stopped playing here. - Do not use the lever after the long slope, push the right block away and follow the passage. - After crossing a bridge over a pool room, you slide down a slope into a room with a fairly long block puzzle. Before dropping onto the lower slope, jump to the platform ahead. Quite a bit of gameplay for such a small download. Assuming Part 3 is the same as the official level (I assume the builder intends to tinker with the files to change the gameplay for a later release), there's a very good and little-known (not Stella's version) online walkthrough that I can cut and paste. _manarch2 wrote: The third level seems to be a 1-to-1 copy from Natla's Mines from TR 1, and because of that and also of the title (Parts 1 &2) I stopped playing here. PDLambeth wrote: Quite a bit of gameplay for such a small download. Assuming Part 3 is the same as the official level (I assume the builder intends to tinker with the files to change the gameplay for a later release), there's a very good and little-known (not Stella's version) online walkthrough that I can cut and paste. I'm currently playing the third level and I'm almost sure that it's not the same from TR1, or at least I can't remember anything what I'm playing. I'm replaying the level writing the walkthrough and, as vimmers said, I found nothing in that passage. It's hidden very near the small step at the end of the passage (not in the centre of the square). Run to the end and turn around, otherwise it's probably not visible. _manarch2 wrote: It's hidden very near the small step at the end of the passage (not in the centre of the square). Run to the end and turn around, otherwise it's probably not visible. I forgot that the pickups in TR1 are not at the center of the tiles.